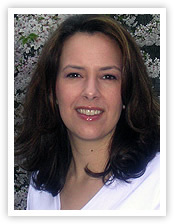 For over 10 years, Melissa Brooks has been providing massage and skin care services to clients from all walks of life. She is an expert in Swedish, Deep Tissue, and Thai Yoga Massage as well as Reiki and Reflexology. In 2002, Melissa visited Thailand to train in the art of Thai Yoga Massage and it has since become a centerpiece to her wellness offerings. She also teaches Infant Massage classes. Please call (703) 865-5690 to get more information or to schedule an appointment with Melissa Brooks.